Gumbo, crawfish pies, beignets — few spots in the U.S. can boast these kinds of culinary riches that are so closely associated with Louisiana. In some ways, great food is Louisiana’s calling card. It’s among the main reasons 28.7 million visitors came to the Bayou State in 2014 alone. With trends in tourism increasingly leaning towards culinary experiences, Louisiana is poised to be among the nation’s top destinations for food lovers. 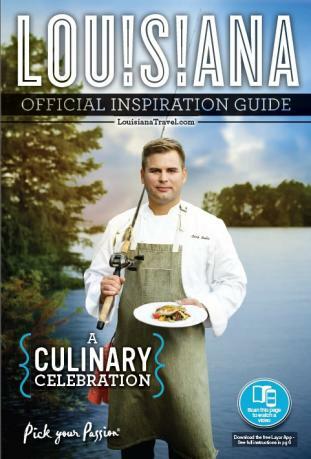 In fact, culinary-related travel is so important that the Louisiana Travel Promotion Association, partnering with the Louisiana Office of Tourism, has made the 2015 and 2016 editions of its Official Inspiration Guide specifically about food-related experiences. The state’s tourism office has also contracted with Miles to develop Louisiana Libations, a microsite devoted to Louisiana’s local beer, wine and liquor industries. We also manage the Louisiana’s Culinary Trails site, which highlights cuisine from eight distinct culinary regions throughout the state. Pair these Culinary Trails with what you can see while down driving them — Cajun, Creole and traditional Southern restaurants and markets, plus literally dozens of food festivals ranging from the mild (oyster fests, gumbo fests, etc.) to the wild (the Louisiana Shrimp & Petroleum Festival and the Giant Omelette Celebration) — and you have, pardon the pun, plenty of food for thought. According to our research, international visitors are increasingly coming to the U.S. for exactly these kinds of experiences. In a 2014 study compiled by Miles and PhoCusWright, food and wine ranked among the highest reasons why visitors from emerging tourism markets (such as Brazil, China, India and South Korea) are coming to the States. We see similar trends among domestic travelers. In a 2014 survey conducted by Miles and Destination Analysts, culinary travel was one of the top interest categories. Notably, among generational groups, Millennials showed huge interest, though Baby Boomers and Gen Xers ranked dining among their top travel priorities. With younger Americans moving towards more experiential, culinary focused travel, this trend will likely grow for years to come. So drink (and eat) up! Culinary tourism is here to stay, and in Louisiana, business is healthier than ever. Visit LouisianaTravel.com/culinary to learn more. Thanks to his former life as an archaeologist, Content Manager Mark Sanders hasn't lived in the same place for more than three years since 1998. We’re hoping all that’s changed now that he’s joined the Miles team in our Colorado office, managing the content creation and marketing for our Louisiana and New Orleans clients.